Tony Tarasco recalled not wasting any time getting to Atlanta, according to The Associated Press. That was because the Braves prospect was getting called up to the majors for the first time, The AP wrote. "I was on a plane for Atlanta less than two hours after (Richmond manager) Grady Little told me," Tarasco told The AP after his April 1993 call up. "I felt like a 12-year-old that first game." Tarasco went on from there to play in eight major league seasons and later become a major league coach. For Tarasco, though, he is perhaps best remembered for a single play - one involving an actual 12-year-old: Jeffrey Maier. 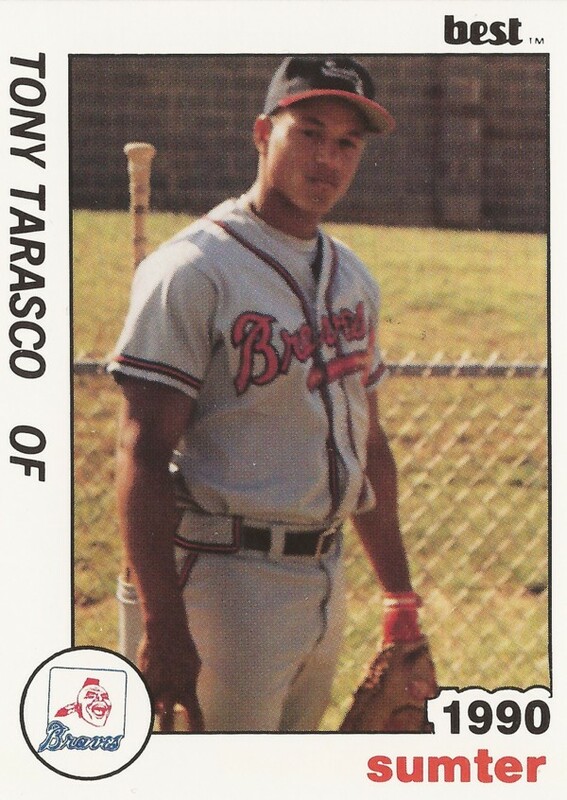 Tarasco's career began in 1988, taken by the Braves in the 15th round of the draft out of Santa Monica High School in California. Tarasco's early years in Santa Monica were marked by Tarasco spending time in a gang, according to The Baltimore Sun. It was his friends in the gang who encouraged him to pursue his baseball career. "He's overcome a lot in his life," Orioles assistant GM Kevin Malone told The Sun in early 1996, "and I admire him for that. . . . I think there's a toughness there in him. More than a physical toughness a mental toughness." With the Braves, Tarasco played his first year in rookie ball. He made single-A Sumter in 1989, then AA Greenville in 1992. In 1993, he made AAA Richmond and then major league Atlanta. 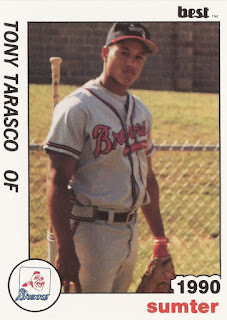 Tarasco played 24 games for the Braves that first year and then 87 in 1994. He hit .273 for the Braves that second season, while hitting five home runs. For 1995, he was sent to the Expos in the Marquis Grissom deal. He hit .249 there, with 14 home runs. He was then traded to the Orioles for 1996. Tarasco's 1996 campaign was limited to just 31 games, but he made the Orioles' post-season roster. He also was on course for his encounter with the 12-year-old Maier. In Game 1 of the American League Championship Series, Tarasco was put in as a late-inning defensive replacement in right. Derek Jeter launched a ball to the right field wall. As Tarasco seemingly prepared to catch it, Maier scooped it into the stands. "Even if I hit 50 home runs, I won't be known for that," Terasco told Ken Rosenthal the next spring. "I'll be known for this." Tarasco returned to for 100 games with the Orioles in 1997, then got brief stints with the Reds and Yankees in 1998 and 1999. He played the 2000 season with Hanshin in Japan. He hit .239 in 102 games there. Tarasco returned stateside in 2001 and he returned to the majors in 2002. He got into 60 games for the Mets that year, ending his career. By 2006, Tarasco was a hitting coach in the minor leagues at short-season Vermont. He moved to single-A Hagerstown in 2008 and then served as Nationals minor league outfield coordinator in 2010. In 2013, he returned to the majors as Nationals first base coach. "A lot of what I'm doing is preparation," Tarasco told MASNSports.com of his new role in spring 2013 for Davey Johnson's Nationals. "I help the guys prepare, I help Davey's team get ready to play."